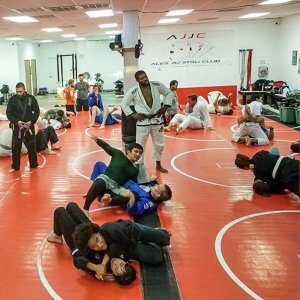 The Aces Jiu-Jitsu Club’s Kids/Family BJJ Program is the perfect way for your child to mature into a leader and their “Best Self” while learning self-defense. It is also a great way to get CONFIDENT, EMPOWERED, fit, STOP BULLYING, and have fun. 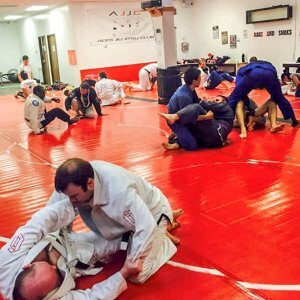 Aces Jiu Jitsu Club in the ONLY Brazilian Jiu-Jitsu program in the greater Austin area where kids may train alongside their parents. Brazilian Jiu-Jitsu is also a great opportunity for your child to learn to persevere on the mats so that they may persevere in life. Our Kids /Family Brazilian Jiu Jitsu program builds self esteem by straying away from the “win/lose contest philosophy” and focuses on instilling a hard work ethic, a positive attitude, and a love for the Brazilian Jiu Jitsu lifestyle. The most EFFECTIVE Martial Art form in the world, Brazilian Jiu Jitsu! 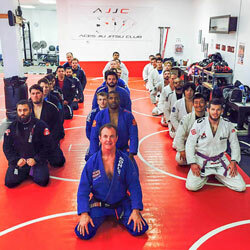 Classes geared toward character development and personal growth using the Aces Jiu Jitsu CLub “LDRSHIP” method! UPGRADED levels of confidence, discipline, and respect! A nurturing and positive environment where your child feels safe and secure! A great way for any child to get in phenomenal shape while having LOTS OF FUN!